The bride is the wedding CEO. Just like employees look to a CEO, people involved with the wedding will look to the bride for her opinion, blessing, and attention. 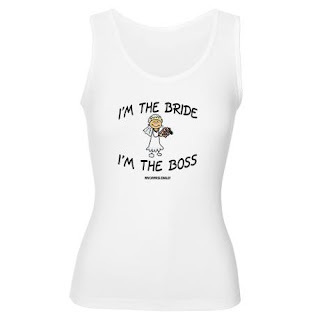 The bride is the boss and with that comes all the rights, privileges, and power of being in charge. 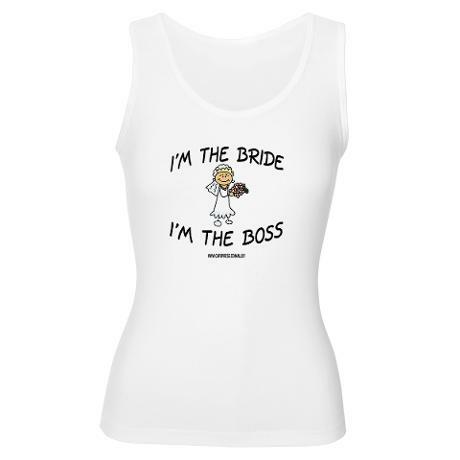 Let’s hope brides use their bridal-boss power for good and not evil. However, to keep the bride sane, it’s crucial that she develop other skills that are critical to a CEO. One of those skills is delegation. If you’re a bride and a slight control freak or if you are a DIY-type with limited time, you need a lesson in delegation. Delegation is when you empower another person (or people) to act on your behalf. Said more simply: It helps brides lighten their to-do lists. Make sure the person you delegate to knows exactly what you want them to do. The person who is acting on your behalf is doing you a huge favor: saving you time, energy or some other resource. Take time to make sure the person you delegated to knows exactly what you expect to be done. For example, my best friend is getting married and asked me to design her return address labels using a starfish image that she liked. She asked me to mail her 60 labels for her Save-The-Date envelopes by the end of that week. I knew exactly what she wanted, how she wanted it, and when she wanted it. Great delegation! Tell them what success looks like. If you can’t tell them, show them. My mother is working with a family friend to design my bridal bouquet from my mother’s wedding dress. I printed out some pictures from Etsy of what I would like the bouquet to look like so she knows exactly what I think a “successful” bouquet looks like. Now she understands what I expect and will try to meet my expectations. Identify when you want progress updates or feedback. If your the slightest bit of a control freak (I’m a huge one), you need reassurance that the delegated task or project is on track. Set up a timeline that provides you with the feedback you need so you do not micromanage the person you delegated to. Doing so will also allow to you influence the project’s direction and the individual’s decisions in executing the task. For example, I’m working with an amazing wedding planner, A Modern Day Affair, and we touch base weekly, if not more often, to ensure that we are on track for my wedding in just over 8 months. Give them a deadline. Even if it is obvious (i.e. the deadline is your wedding day), tell the person you are giving the task to when you would like for it to be complete. That way, there are no surprises if you expect a different deadline. For example, asking bridesmaids to order their bridesmaid dress by a certain date sets the expectation that you want the particular task completed and scratched from your to-do list. If you provide enough time, it also allows the bridesmaids to work the task and sub-tasks into their own to-do list however it fits best for them. Thank them. Be gracious, business-savvy bride. Even if you feel the person was obligated to help you or if they felt it was their “job” to help you, thank them anyway. People using their resources to help you is a kind gesture in and of itself. A small trinket of appreciation (a thank you card, a phone call, a coffee, etc) goes a very long way and maintains a healthy relationship between you and the individual you delegated to. Business-savvy brides to be need to delegate in order to keep their sanity and make the wedding of their dreams come true. Because we are multi-taskers, we need others to help us in creating the perfect wedding. Have you delegated any tasks for your wedding? Share in the comments below.